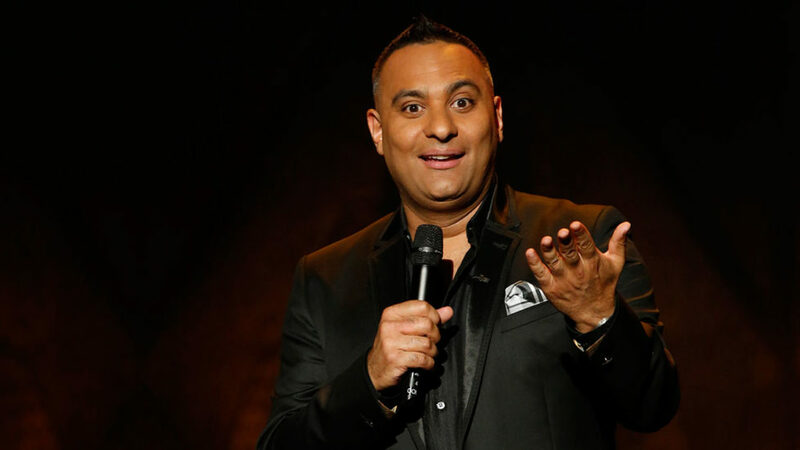 Russell Dominic Peters (born September 29, 1970) is a Canadian stand-up comedian and actor. He began performing in Toronto in 1989 and won a Gemini Award in 2008. In 2013, he was number three on Forbes’ list of the world’s highest-paid comedians, and became the first comedian to get a Netflix stand-up special. He also won the Peabody Award and the International Emmy Award for Best Arts Programming for producing Hip-Hop Evolution (2016). He currently lives in Los Angeles. Peters was born in Toronto, Ontario to Eric and Maureen Peters. When he was four, the family moved to the suburb of Brampton. His older brother Clayton now serves as his manager. Peters was raised Catholic and is of Anglo-Indian descent. His late father was born in Bombay, India (now known as “Mumbai”) and worked in Toronto as a professor of Applied Physics at the University of Toronto. Peters regularly features stories about him in his comedy work. Peters attended Chinguacousy Secondary School for grades 9–10, and North Peel Secondary School in Bramalea for grades 11–12.In school, he was regularly bullied because of his ethnicity. He eventually learned boxing, which helped him resist the bullying. Peters also became a hip hop “junkie” in his youth. By the 1990s, he was a well-connected disc jockey in the Toronto scene.